Another day, another study on the effects of coffee on your health. But hey, when the news is good, the coffee lovers among us will take it. And the most recent news is really good. So what’s the buzz on your coffee buzz now? Turns out, your coffee addiction (though we prefer the word “habit”) may help boost longevity. Published on November 16th in the journal Circulation, a new study has found a link between coffee consumption and longevity. Researchers looked at data from 74,890 women in the Nurses’ Health Study (NHS), 93,054 women in the NHS 2 and 40,557 men in the Health Professionals Follow-up Study, examining the relationship between their consumption of total, caffeinated and decaffeinated coffee with risk of total and cause-specific mortality. Compared to those who don’t drink coffee, drinking one to five cups a day was associated with lower mortality overall, lower risk of death from cardiovascular disease and lower risk of death from neurological disease. Between three and five cups a day had a 15 percent lower risk of premature mortality. And yes, that cup of decaf counts, so switch from regular coffee in the afternoon to avoid shorter-term drawbacks like poor sleep. The researchers also looked at other diet and lifestyle factors among this group—interestingly, frequent coffee drinkers were also more likely to drink alcohol, consumed less sugar-sweetened beverages and fruits and ate more red meat. And though initially the results found an association between more coffee drinking and a higher risk of death due to lung cancer and respiratory disease, the association disappeared once the researchers restricted the group to people who have never smoked. Of course, before you hook up the coffee IV, it’s important to remember that no study is perfect. This research looked a mostly white population, so results may not necessarily carry over to others. And data on coffee-consumption was self-reported—though, unlike other beverages, coffee tends to be less prone to misreporting. 2. Add cinnamon instead of sugar. You’ll save calories if you usually add sugar, and research points to the spice having major benefits—like strengthening the immune system, controlling blood sugar levels and reducing cravings, relieving congestion and boosting brain function. 3. Don’t turn it into dessert. 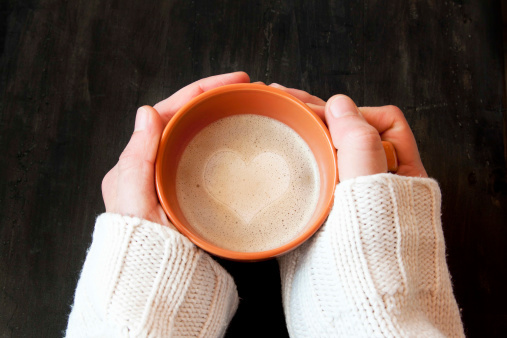 Coffee may be healthy, but it won’t counteract the negative effects of adding a bunch of sugar, cream and sweetened flavoring…especially if you drink multiple cups every day. 4. Don’t drink it on an empty stomach. If you start your day with a cup of coffee, make sure you’ve got a little something to munch on, too—coffee on an empty stomach can cause a blood sugar drop, resulting in a major energy crash…the exact opposite of what you want from your coffee. 5. Grind your own. Oxygen and moisture can zap your coffee of antioxidants, so get the full benefits by buying whole beans and grinding them at home, if you make your own coffee.